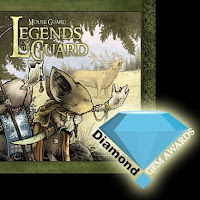 I am very happy to announce that Mouse Guard Legends of the Guard vol. 1 has won the Gem Award for Best 2010 Anthology! So I offer a huge thank you & congratulations to the contibutors: Jeremy Bastian, Ted Naifeh, Alex Sheikman, Sean Rubin, Alex Kain, Terry Moore, Gene Ha, Lowell Francis, Nate Pride, Guy Davis, Katie Cook, Jason Shawn Alexander, Craig Rousseau, Karl Kerschl, and Mark Smylie. 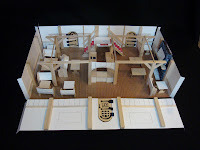 In future posts I plan to add to the Facebook gallery and show more angles of my other models. turned into this. Hope you enjoy it. I don't often get a chance to do rendered pencil drawings these days. 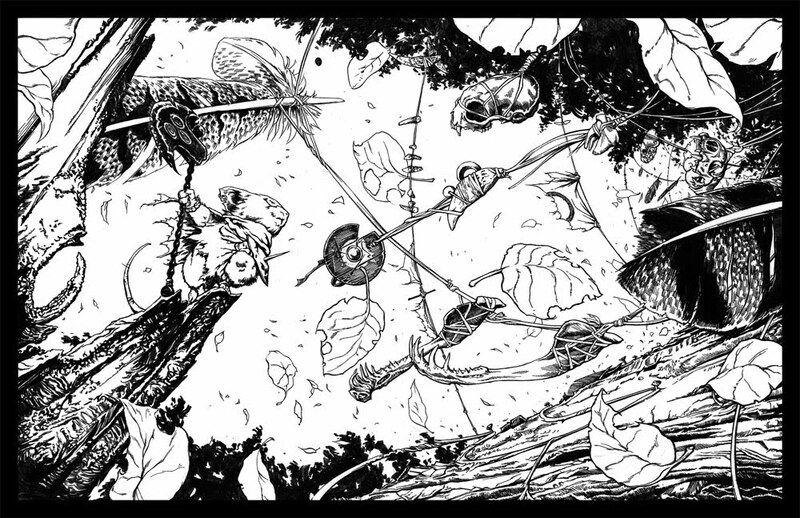 Mouse Guard keeps me inking away. but after I finished my Free Comic book Day story, I took an evening to just draw for fun, with no story or subject in mind. 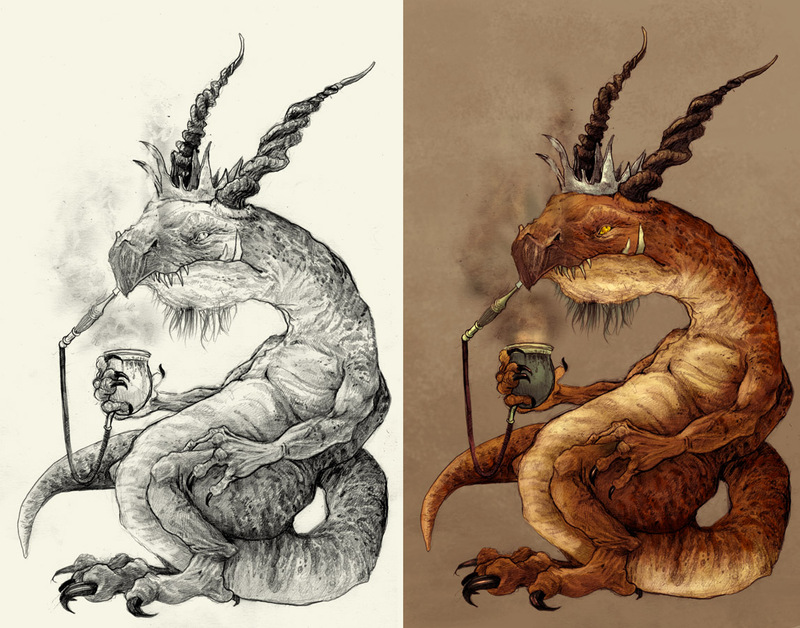 This pencil drawing was the result (well, I got 70% done that night and finished the other 30 a few weeks later). After finishing, I decided to try splashing some color on it in photoshop. I'm pleased with the result and wanted to share it with you. For several years I worked at an architectural salvage and antiques store in Ypsilanti, MI called Materials Unlimited. 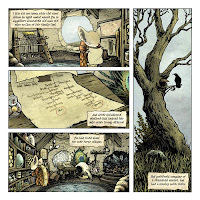 I left to work on Mouse Guard full-time, but after a recent visit, I realized how much I missed the constant aesthetic bombardment of the past. The shop is full of the craftsmanship of people long since gone, but I loved pouring over the details of materials and techniques, and patterns, and color on all the mantels, light fixtures, fencing, furniture, stained glass and other oddities. It is and will remain one of my favorite places to become inspired and find motifs and visual cues for the world of Mouse Guard. 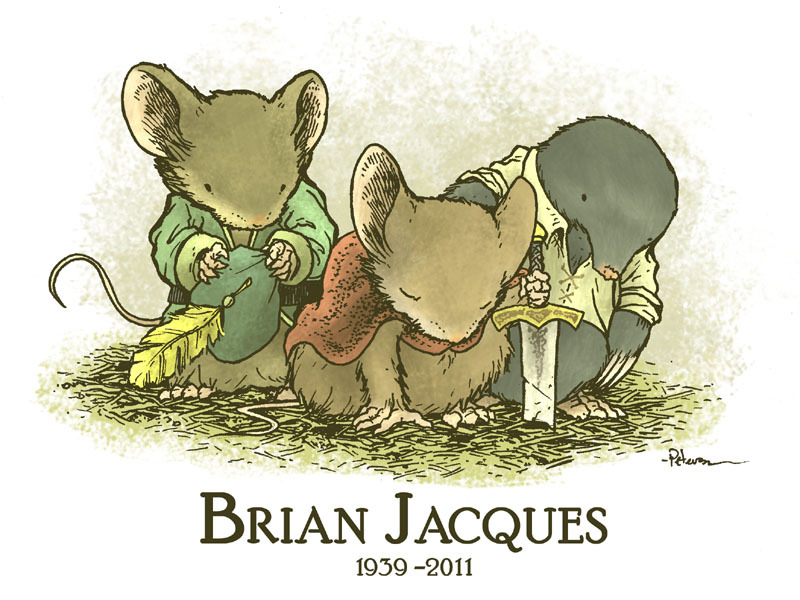 Today's blogpost comes a day early to mark the passing of Brian Jacques, author of the wonderful children's series of Redwall novels. The series focuses on the medieval goings on of generations of animals who live in and around Redwall Abbey. 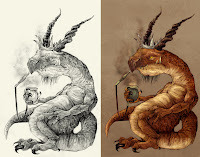 Mr. Jacques was the lead torch holder in keeping anthropomorphic characters alive and prospering after such other greats as Aesop, Rudyard Kipling, & Kenneth Grahame. 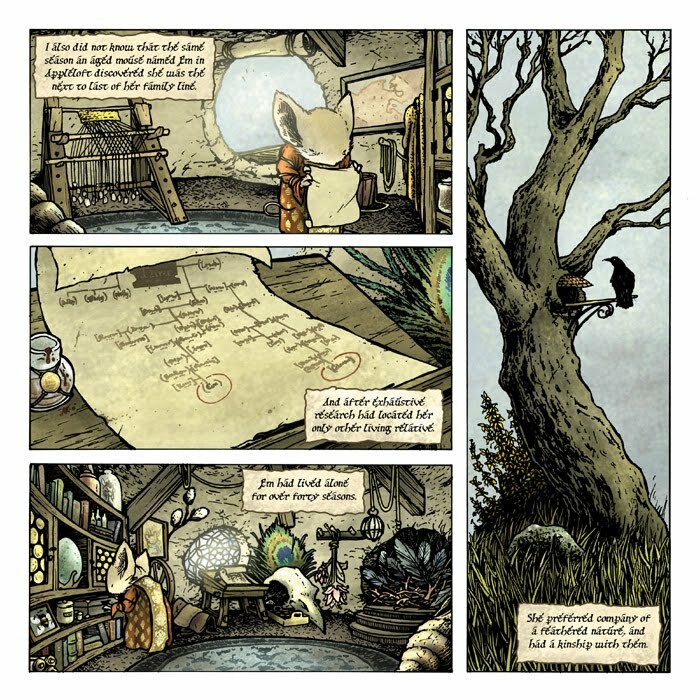 Redwall was as much an influence on Mouse Guard as it was an anti-influence. It was while I was developing the ideas for my own group of mouse rangers I was handed the first book in the series. I thoroughly enjoyed Brian's writing, and his gift for including vocal accents into the text. 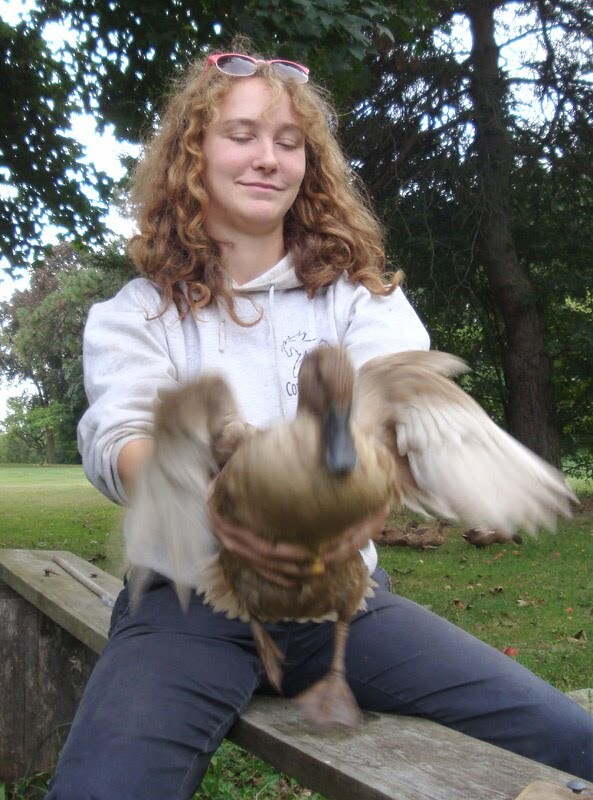 It charged in me even more desire to pursue my love of animal stories and medieval cultures. However, I knew instantly that I could never top what Mr. Jacques was doing. So when I say his books were a counter influence, I only mean that I had to set out in a different path from what he was already master of. 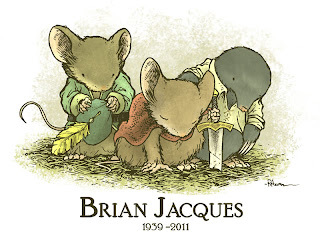 In honor of a great and prolific author who scouted the road and opened the doors of the modern market for tales of mouse heroes, I humbly thank him and wish his family peace. 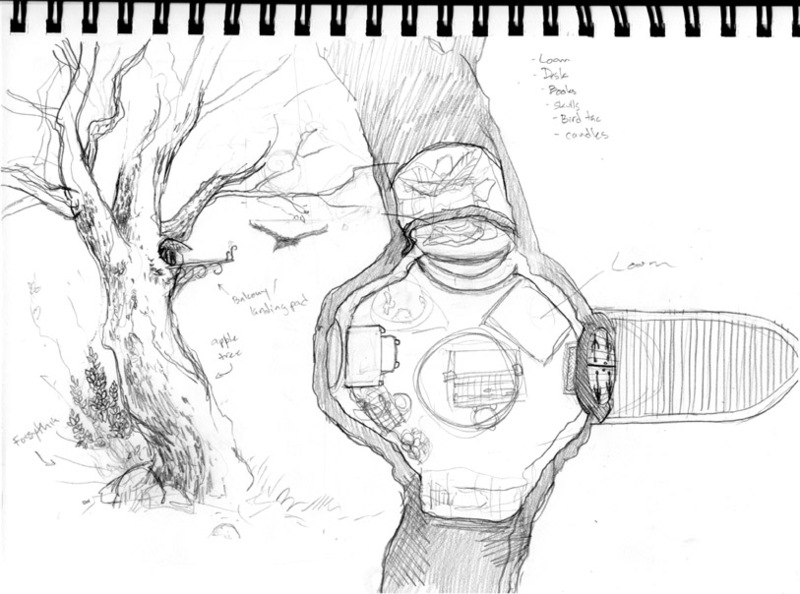 I started the layout of her home with a top-down cutaway of the apple tree she lives in. I figured a hollowed out knot hole right at the junction of a few branches would give her enough room in a fairly narrow trunked twisty tree. I initially had her bookcase inset in one of the branches...but it looks like I didn't draw it that way in the final version. The other branch nook becomes a sleeping area, with an open knothole in the back of the tree providing a nice window. 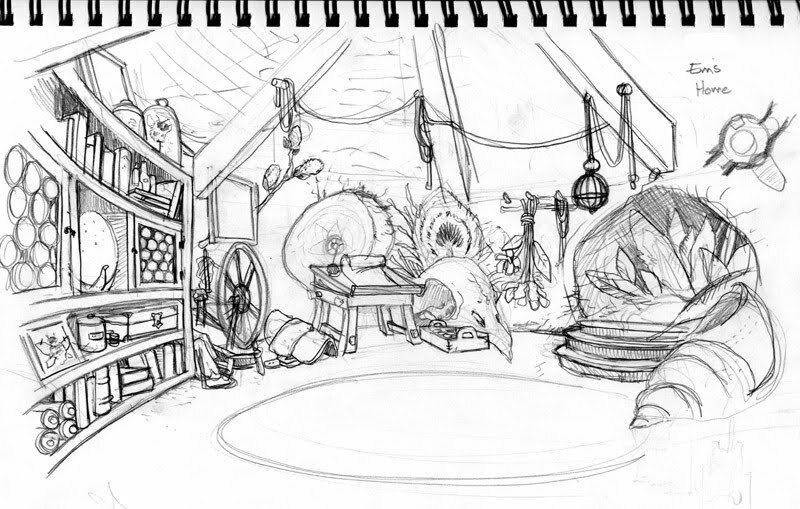 I thought about making a quick model of this room before I drew it, but changed my mind, feeling that it wasn't a location I planned on reusing too much, and my top-down sketch mapped out a floor plan for the items I knew I wanted to include. Also I knew I wouldn't make little models of all the furniture, so the model's only real use would be for the room's geometry, which was for the most part, round. Any imperfections I had with the geometry in not making all those concentric circles accurate and in perspective, would only add to the charm of Em's small, quaint, mouse hollowed, home.